Recently we got a call from a company that wanted prices on translating its website into several languages. Apparently one language service provider they spoke with told them that they would have to copy and paste the web contents into Word documents to have it translated. And, presumably, they would then have to copy and paste the results back into the website, somehow getting all of the HTML and other code in the right place. The potential client quickly eliminated that company from their list of potential translation partners, and rightly so. This is no way to localize a website. Nevertheless, we have come across a fair number of potential translation buyers who believe that this is the only way to do translation. They’ll send us Word documents and just ask for a quote. Some of them aren’t sure why they need to send us anything: Can’t we see it all on the website and translate from that? Similarly, customers will cut and paste the content from a professionally designed document and send that for translation with the intention of cutting and pasting the translated content back into the layout. So what’s the problem? Answer: There are lots of problems. All the time taken cutting and pasting into Word is time that could have been spent on something else and is most likely wasted time. A good language partner has the technology to work directly with many kinds of web and design files so that there is no need for cutting and pasting at all. Then there is the time spent cutting and pasting the translated text back into the original form. This usually takes more time than extracting the text because all kinds of adjustments will have to be made. HTML tags will have to be put back in the right place (assuming the person assigned to this can even tell where they should go.) Adjustments may have to be made to accommodate text expansion. Font sizes may need to be changed for some languages. In the end, you will probably also have to go back to the language service provider for a final review by a native speaker. In fact, all in all, you face a significant risk of wasting even more time going back and forth with your language partner about the various issues that will inevitably arise if you cut and paste. A good language partner is used to dealing with all these issues and can take care of most of them before you even see the final product. Even if the text needs to be extracted, language technology can provide better ways to do it and to put it back again. At the very least, you should consult with your language partner about the best way to handle files before you start cutting and pasting. Some clients clearly think they can save money by taking the cutting and pasting approach, but any apparent savings can be largely illusory. Even if the client uses existing employees to do all the work, there is at least an opportunity cost. These employees presumably have other jobs they could be doing instead. And if they are not used to doing this type of work, it will probably take them more time than necessary. In fact, using employees generally means that the job will take a good deal longer than the client initially expected. In any case, when it comes to things like websites, software, and professionally designed documents, it is often not employees that will do the work of inserting the translation back into the original format. Instead, the client will send the translation back to a web or design professional who will charge for their own time. Sometimes these professionals will want to do this work themselves because it means more fees for them. However, foreign-language localization is specialized work—the more exotic the language, the more specialized the work. You might as well pay a language partner who specializes in this kind of work, rather than paying others who may not have the necessary skills. Finally, the chances of missing important content when cutting and pasting material are significant. This is particularly true for websites and other applications where important content is not apparent on the screen. Metadata, such as the website’s title, keywords, and page descriptions, can be missed. Content in html tags, like title and alt text attributes, as well as error messages that only appear when a user performs a certain action, may be left out. And did you know that page URLs should usually also be translated? No more cutting and pasting. Choose a language partner who can help you take advantage of modern translation technology to deliver quality work in the most efficient and cost-effective manner. 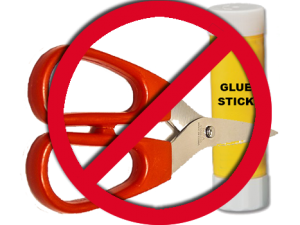 This article was syndicated from Business 2 Community: Are You Still Cutting And Pasting For Translation?